Here is another video of the Face/Off series. This time the face off is for a rather famous game in three different systems, DOOM! Here is the face off of this game on the Sega 32X, the SNES and the Atari Jaguar! A nice video, but with a little techincal history been required to state that Doom on the SNES was running under a console the predates both the Atari jaguar and the 32X some 3-4 years here, the Atari Jaguar having dedicated chips to doing native 3D texture mapping and 3d engine development is far more in direct competition with the Panasonic 3DO than a super Nintendo, a primaryly a 2D gaming machine renders this argument or comparsion a little unfounded, the special FX chip was create for polygon sprite handling as seen in Star Fox and the likes as was the Sega 32X directly the hardware pacfic add on to delivering Sega's 3D polygon games like virtua fighter and virtual racing , so doing a comparison across 3 platform unevenly matched by their techincal specification draws a bit of a losing argument here. 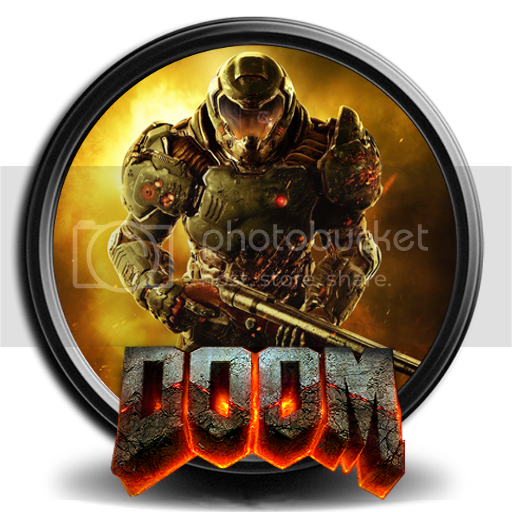 Each version of doom should be merited on its own techical achievement across each platform as indivual entity, which he has done to some degree and not in a three way comparison as which two of the machines playing the game are specially dedicated to handling such tasks with a game of this nature, so I can't take what he has made here as any format of valid review other than to state the best version of the game been done on a console with the technical abilities to handle such a game in the first place and not on a machine that was designed back in 1989 for arcade 2D dedicated type games, it's like comparing the game boy with the snes and neo geo? So I've ruled out even acknowledging the SNES version been present in this comparsion and only seeing the 32X and Atari Jaguar versions are more a match here, but i agree with his final judgment that the Atari Jaguar version was the better of the two, but I'd of loving to have seen the Sony Playstation version been the third entry, at least it would have been a more accurate and balanced comparison then. I like both the 32X and the Jaguar versions. I think the PS1 game is the best console port but if we're just comparing cartridge versions then the Jag takes it. Wow, I wouldn't know what to do if music were playing. Gotten used to not having it so thinking it'd be less ominous otherwise. I mean, if I was really in the situation, I doubt I'd have earbuds in to listen to music anyway. Would be more interested in surviving lol. SNES Doom looks bad to me but 32X is worse. Regardless of what the narrator says, I'll stick with the Jaguar version. Very blocky compared to the others but I like it. I have it on 32X as well but haven't given it much time beyond making sure the cart worked. I am also used to playing it without music by now, which I think make sit more eerie. Regardless, music can always be played using something else.